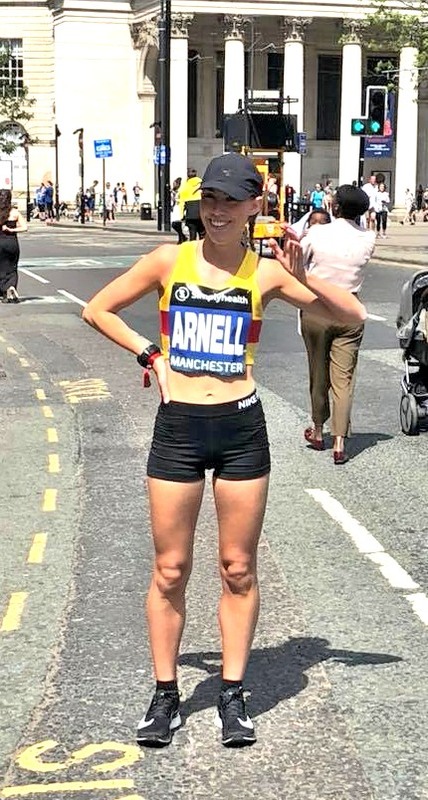 Although Arnell just missed out on the cash prizes which were awarded to the top six British finishers, this was an invaluable experience rubbing shoulders with the best with no entry fee or queues! A brilliant day and a good job done said Charlie with a (36:56) finish at 17th out of the 30 elite girls in what were very hot conditions on a not particularly fast course. Next race the Torbay Half Marathon! At the Clyst Hydon Huff a scenic multi terrain 10km Mark Bruce enjoyed the great weather, with beautiful scenery and a fantastic run with Laura Hawker in her first race. Bruce was pleased with his finishing time of 1hr 10mins, on a route up hills, around lanes, in woods and through ankle deep bog!